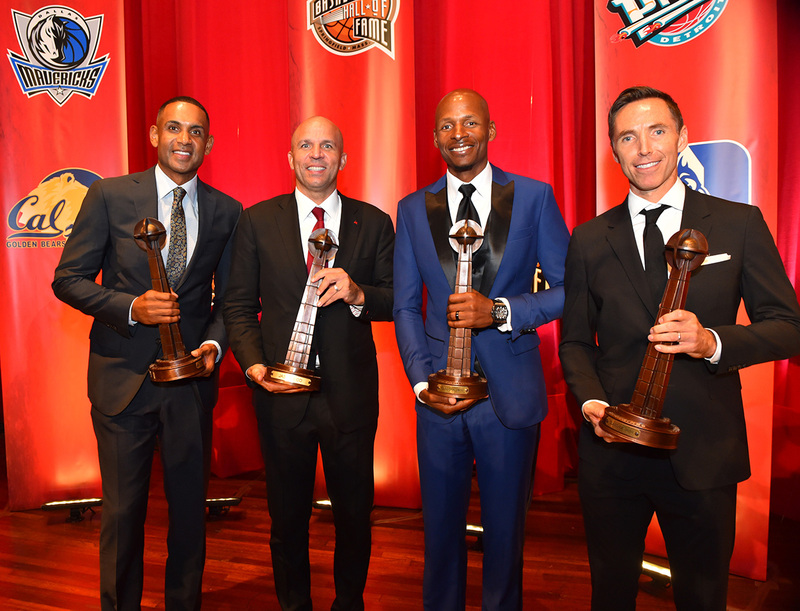 Friday night was a special one for Jason Kidd, as he was officially enshrined in the Naismith Memorial Basketball Hall of Fame. Alongside some of the greatest players of his era, including former teammate Steve Nash, co-Rookie of the Year Grant Hill, and Ray Allen, J-Kidd took his rightful place among the all-time greats of the game, his stellar 19-year NBA career being honored in his first year of eligibility. During Friday’s ceremony in Springfield, Mass, Jason was tasked with getting up on stage to deliver a short speech, and in typical Jason Kidd fashion, one of the league’s all-time great facilitators made that speech a selfless thank you letter to all those who helped him reach this point in his career. That’s because reaching the Hall of Fame is an incredible honor to receive, and Jason is well aware that he couldn’t have done it alone. He began his speech by thanking his presenter, 2013 Hall of Fame inductee Gary Payton, a fellow Oakland native and something of a mentor to Jason, for inspiring his work ethic and instilling a level of toughness that propelled J throughout his career from high school to the NBA. That grit allowed J-Kidd to become one of the greatest point guards of all-time. Despite being five years removed from his playing days, Jason’s name continues to be etched across the NBA record books. He still ranks 3rd in career triple-doubles (107), 2nd in all-time assists (12,091) and steals (2,684), and ninth in career three-point field goals (1,988). In addition, Kidd was selected to nine all-defensive teams in his career, went to the NBA Finals three times, including one championship win with the 2011 Dallas Mavericks and was a two-time Olympic gold medalist with the U.S. Men’s National Team. 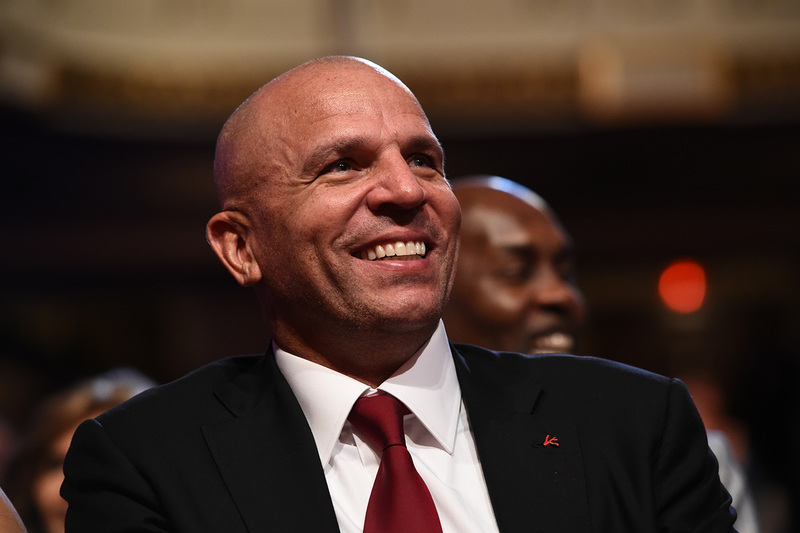 J-Kidd’s remarkable career accomplishments were spread across four different franchises and as if it was kismet, in each of those destinations, he managed to cross paths with at least one fellow 2018 Hall of Fame inductee. After being drafted second overall by the Dallas Mavericks in 1994, one spot ahead of Hill with whom he shared Rookie of the Year honors the following season. He then was traded to Phoenix, where he spent time with Nash, before moving on to New Jersey, where he was acquired by another 2018 Hoop Hall inductee, Rod Thorn. Indeed much of Jason’s Hall-of-Fame production came during his six-year stint with New Jersey. During Kidd’s first season with the team, he helped lead a 26-game improvement, which resulted in the franchise’s first 50-win regular season in 2001-02. In the 2002 and 2003 playoffs, Kidd led the Nets to back-to-back NBA Finals appearances, the first in the franchise’s history. 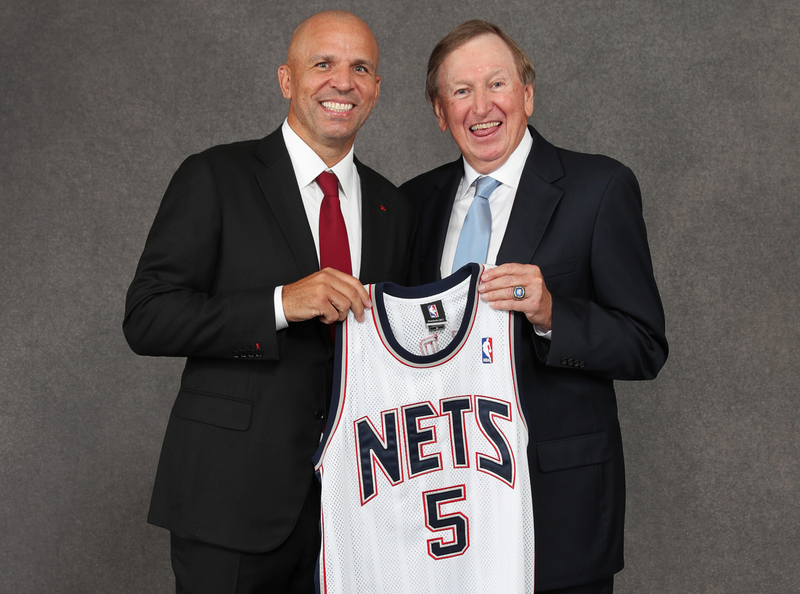 While J-Kidd couldn’t obtain a championship ring in New Jersey, that was the goal when he returned to Dallas in February of 2008, acquired by the team that drafted him, under the new ownership of head coach Mark Cuban. And in 2011, Kidd finally captured his first championship, alongside Dirk Nowitzki and Tyson Chandler, stunning the Miami Heat, who were led by the trio of LeBron James, Dwyane Wade and Chris Bosh. Kidd had received all the individual accolades a player could dream of during his career, but a championship was elusive until his time in Dallas. Once he secured his ring, his status was surely cemented among the game’s greats. And on Friday night, that was apparent. The 2018 Hall of Fame Class was headlined by marquee players of the 2000s, and J-Kidd was certainly one of them. To be inducted alongside such great competitors made the night even more special. What a night @Hoophall. Ray Allen, one of the greatest shooters, workers and most graceful players ever. Jason Kidd, one of the games most fierce competitors of all time. And Steve Nash, who just got better, and better, and better, and better until he was better than anyone else. Throughout the night, many of the other inductees in this stellar class praised Kidd’s game and his influence on their games, including Steve Nash, who was drafted a year after Kidd. “Jason Kidd, only a year older than me, but I looked up to him the whole way,” Nash said. And Kidd’s career will be forever linked to Grant Hill after being drafted back-to-back and being named co-Rookies of the Year. After retiring within two days of each other, the two legends received the game’s greatest honor on the same night. 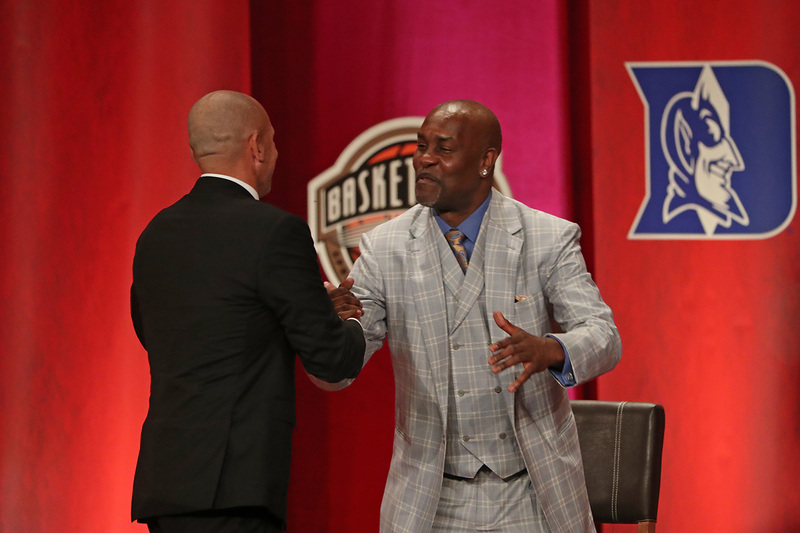 Both had impressive basketball careers, and Hill made jokes about Kidd being drafted just before him during his speech. Kidd took the stage and delivered a nearly 10-minute speech, thanking all his mentors, friends, teammates and family, while reflecting on all the successes and memories from his illustrious career. Once he was finished, Kidd paused briefly to soak up the moment as best he could.